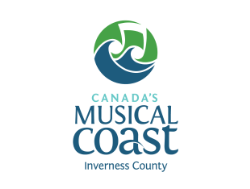 The Municipality of the County of Inverness is pleased to welcome their constituents, the business community, tourists and those considering relocating to Inverness County for business or pleasure. Western Cape Breton is home of the world famous Cabot Trail, the Ceilidh Trail and Celtic Renaissance. The Municipality commences in Port Hastings and stretches to Cape North and has a population of 14,580. Their municipality is broken into 6 districts that are represented by elected councillors. The municipal offices are located in Port Hood, the Shire-town of the county and they welcome your visit. Their web site is designed to communicate information on Inverness County to residents and non-residents. If you would like to comment or request information please contact them and they will respond as soon as possible. Their site has been created for you and will become a major component in their overall communication strategy. Each month their site is updated with the latest news and notices so be sure to bookmark them for future inquiries. They hope you enjoy their site and find it informative and easy to navigate.